Commander Ag-Quip designs and manufactures a range of equipment specifically designed for the safe and easy handling of cattle, including its table type calf cradles. The table type calf cradles benefit from an ergonomic design and sturdy construction. 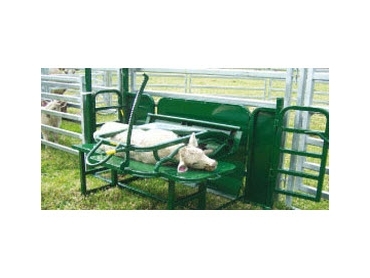 The design of the cradles allows fast and efficient handling of calves at a convenient height with good access. Contact Commander Ag-Quip to find out more about its livestock handling range and to order a table type calf cradle to suit requirements.